In playing records Kalle isn't stuck to one particular genre. 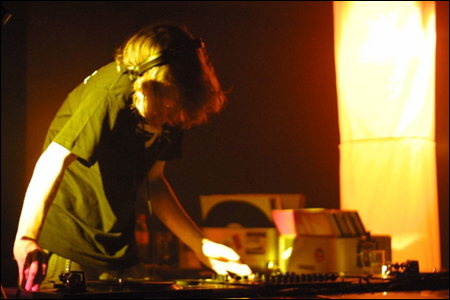 He plays electro, techno, italo disco, acid and acid house tracks, not forgetting his past in hip hop and big beat. His mind blowing, tight mixing style earned him a place at Red Bull Music Academy, which he participated in as the first Finnish artist in New York in 2001. After a decade behind the decks and even more years collecting vinyl, it's obvious that his extensive collection allows a wide variety of tracks from which to select the best and grooviest. Kalle is also a part of a live act called the Acid Symphony Orchestra, conducted by Jori Hulkkonen, which brings ten synced up Roland TB-303's and one drum machine on stage. Another live act he participates in is Technical Directors. The idea behind this live act is to play 110% improvised live sets with vintage gear and create every sound in front of the live audience, mostly with legendary Roland x0x-series drum machines and synthesizers.